Unrefined Shea Butter is a fat extracted from the nut of the African Shea tree. It is a gentle and effective moisturizer. shea butter is a fatty oil that exists as a solid at room temperature. Unrefined Shea Butter contains Oleic acid, a saturated fatty acid which is highly compatible with the sebum naturally produced by our skin, which means it’s readily absorbed and is said to help the absorption of other active ingredients. Natural shea butter contains vitamins A and E, which are the main factors responsible for the moisturizing effect shea butter has on the skin. Moisturizing: The centralization of normal nutrients and unsaturated fats in shea butter makes it inconceivably supporting and saturating for the skin. Usually used to cure dry skin and to help ensure the skin’s regular oils. Diminishes Inflammation: A recent report discovered that because of its cinnamic acid and other normal properties, shea spread was calming. One compound specifically, lupeol cinnamate, was found to decrease skin aggravation and even conceivably help stay away from skin changes. This additionally makes it valuable for a few people with skin break out. Skin Smoothing: Shea spread guides in the skin’s common collagen production and contains oleic, stearic, palmitic, and linolenic acids that ensure and support the skin to prevent drying. With long haul utilize, numerous individuals, report skin softening and reinforcing and additionally wrinkle decrease. Treat Acne: Lupeol, one of the most important components of shea butter, can reduce acne formation. A cell-based study found that lupeol suppressed enzymes involved in human oil production, diminishing acne symptoms considerably. Relieve Symptoms of Arthritis: Shea nut oil was tested as a natural product that can treat common symptoms of arthritis. In one study, shea nut oil extract was administered to 33 patients with knee osteoarthritis in a 16-week period. 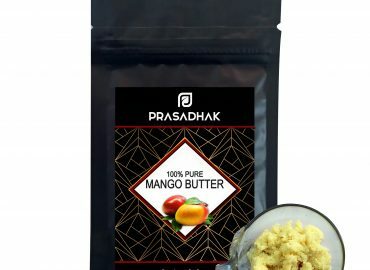 Slow Down Skin Aging: Shea butter is rich in antioxidant components like phenolic compounds and vitamin E. These components prevent skin oxidation, indicating that shea butter may slow skin aging. Store in a cool, dry place and avoid contact with moisture. Keep away from children and contact with eyes. The product is for external use only. irritation occurs upon use of the product, discontinue its use immediately. 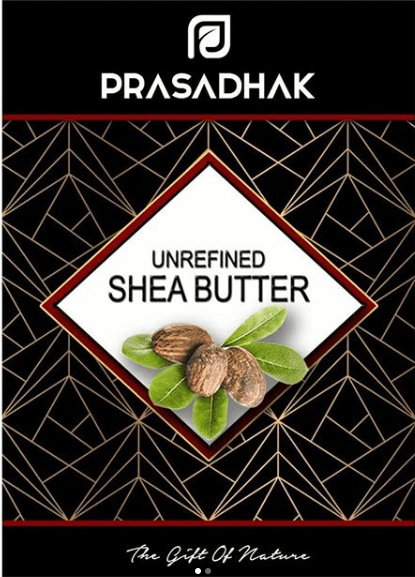 buy Unrefined African Shea Body Butter from Prasadhak.